There are many different companies serving Orlando International Airport to and from popular destinations. When utilizing luxury sedan, limo and van transfers, a chauffeured service, you will be met by a driver as you exit the escalators on the way to baggage claim. The driver will help you retrieve your luggage from the carousel and take you to the car. When arranging your luxury sedan, limo and van transfers make sure to find out how to identify your driver at the airport. Many airports (including Orlando International Airport) prohibit the solicitation of rides at the airport. Once you are settled in to your luxury sedan, limo and van transfers, you may choose to make a grocery stop (which should be pre-arranged when making your reservations). Because the grocery stop has a time limit, it is a good idea to have a grocery list ready. Many guests to Walt Disney World choose to utilize the free Magical Express Service. 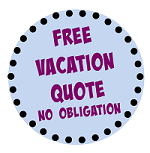 If you will be going off property, or prefer the independence of your own car, a car rental is another option. For those who prefer a private service on your own schedule, luxury sedan, limo and van transfers may be the way to go. 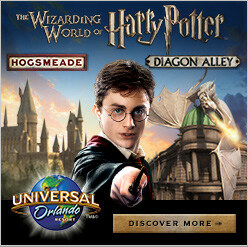 They are also an option if you wish to travel to another destination, such as Universal Orlando, for the day. Many luxury sedan, limo and van transfers include a free 15 minute stop at a grocery store on the way to your hotel so you can pick up a few things if you request it at the time of booking. Please note that a grocery stop may not be offered if your flight is more than 30 minutes late/early or due to other unforeseeable circumstances. You can request a guaranteed 15 minute stop for an additional charge. The longest stretch H-2 Hummer limousine in Orlando! The exotic Hummerzine (capacity 20 passengers) offers 2 flat screen TVs, 2 sub-woofers, dance floor, DVD, 3 a/c units, 2 lasers, strobe lights & much more. Wild! There are discounts available for The Mouse For Less using luxury sedan, limo and van transfers. Schedule a private chauffeured vehicle or arrange a shuttle to/from Port Canaveral to board your cruise and leave the driving to Happy Limo! You can choose to take the shuttle to and from Port Canaveral and the airport, Walt Disney World Resorts, Kissimmee area hotels or Universal Studios areas and save money over Disney shuttle service. You get the same great service at a much lower cost, that’s money you can use towards souvenirs or service on the ship! A family of four can save $76 on a round trip transfer from Orlando International Airport. Choose from a variety of luxury vehicles for your travel to and from Port Canaveral. Prices start at $115/one way, $220/round trip with a luxury sedan to/from Orlando International Airport. Go to/from Disney Resorts for just $25 more one way, $60 more round trip. Take a party bus that seats 30 – 32 passengers for your group to/from Orlando International Airport for just $400/one way, $775/round trip. Luxary sedan, limo and van transfers are a great option for guests traveling to Universal Orlando or beyond. Services to/from Universal Orlando are similar in price as services to/from Walt Disney World resorts/Kissimmee area hotels. Again, a free 15 minute stop at a grocery store on the way to your hotel is an option to discuss when booking your transportation. Please note that a grocery stop may not be offered if your flight is more than 30 minutes late/early or due to other unforeseeable circumstances. You can request a guaranteed 15 minute stop for an additional charge. Luxury sedan service (Lincoln Town Car with a capacity of 4 adults) costs approximately $125 round trip plus gratuity and any applicable fees*. Luxury minivan service (Toyota Sienna or similar with a capacity of 5 adults) costs approximately $160 round trip plus gratuity and any applicable fees*. Full Size Van service (Ford Club Wagon E-350 or similar with a capacity of 10 adults) costs approximately $170 plus gratuity and any applicable fees*. Luxury SUV service (Chevrolet Suburban or similar with a capacity of 6 adults) costs approximately $180 round trip plus gratuity and any applicable fees*. Stretch limo service (Lincoln stretch limo with a capacity of 8 adults), costs approximately $230 round trip plus gratuity and any applicable fees*. *Rates subject to change. These are only for comparison purposes and not actual quotes from any specific transportation company. Other destinations that include: International Drive hotels, Kirkman area hotels, Kissimmee hotels, Cocoa Beach, Melbourne Beach, Tampa, Daytona Beach, Miami, Fort Lauderdale, Sea World, Amtrak (Orlando), Sanford Airport and more. There is a coupon available for The Mouse For Less readers who want to use Happy Limo. Happy Limo’s reservations center is open from 7:00 am to 9:00 pm Monday through Friday, 7:00 am to 7:00 pm on Saturdays and 7:00 am to 5:00 pm on Sundays. If you prefer email communication, we have found Happy Limo to be very responsive to email inquiries. You can even book your limo or van online through a secure server. When booking your luxury sedan, limo and van transfers, make sure to understand the company’s gratuity policy. Some companies add pre-pad gratuities to the reservation. Others will not add them and the gratuity is at your discretion. Standard gratuity of 20% is appropriate if you are happy with your driver’s service. For International arrivals and late arrivals (between 11:00 p.m. and 6 a.m.) a surcharge may be added. Car seat and booster seats are available for for each leg of the trip. Make sure to clearly state your car seat or booster needs at the time of reservation. Not all car seat types are available and those traveling with young children can consider bringing your own car seat. If it is not used on the plane, it can be checked with checked luggage or often gate checked. Airline luggage fees may apply. Finally, understand your cancellation policies. Many trips become non-refundable if not cancelled at least 48 hours or more in advance. Understand what the policy is and when the credit card will be charged.